Does iCloud Backup Deleted Text Messages? How to View them? No doubt, messages are important for phone users. It is important to retain them for future reference. However, mistakes sometimes do happen and you may end up deleting your messages. For this reason, people want to know whether iCloud backs up deleted messages. People also want to know how they can view these messages. This article will answer all these questions. Does iCloud Backup Deleted Text Messages? Can I View the Deleted Text Messages in iCloud Backup? How to View Deleted Text Messages in iCloud Backup Freely? 1. Does iCloud Backup Deleted Text Messages? The answer to the above question can be a Yes or a No. iOS saves all data in its database. When you delete text messages on your iOS device, iOS just moves the messages from the "Allocated" category to "Unallocated" category. The actual data still sits on your device. When you create new data, the space containing "Unallocated" entries will be occupied first. The deleted data gets overwritten. 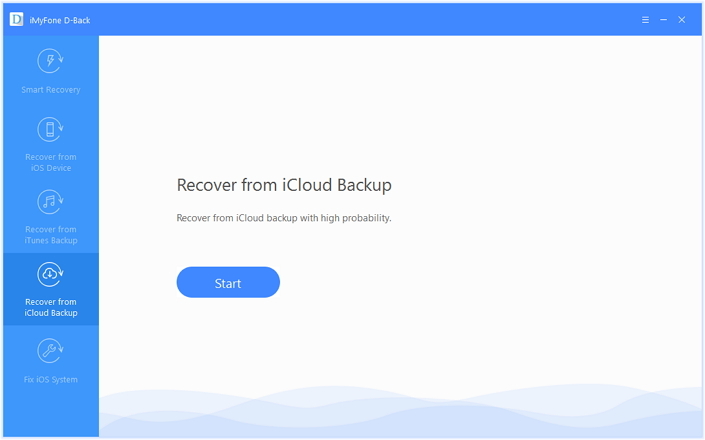 Simply put, if the messages you deleted are yet to be overwritten and you happen to make an iCloud backup in advance, the answer is Yes, iCloud will back up the deleted messages. On the other hand, if the deleted messages have been overwritten already, iCloud will not back up the text messages. 2. Can I View the Deleted Text Messages in iCloud Backup? Actually no. Even after restoring your iCloud backup, which includes the deleted text messages, to your iOS device, you won't have the ability to view deleted messages. These messages cannot be shown. However, you can use a third-party data recovery tool to view the deleted messages. If you are interested in how to extract iCloud data, keep reading. The preview function will allows you to view deleted messages in iCloud freely. It supports access 20+ data types, including your messages, WhatsApp messages, notes from iCloud backup. It also supports to read data from iTunes backup and device itsely, no matter deleted or existing. It provide a iOS System Recovery feature to help you handle iOS problems. Compatible with new iOS 12.1/12 and iPhone XS/XR/XS Max. Step 1: Run iMyFone D-Back on your Computer. On the left-hand panel, Click on Recover from iCloud Backup and then Start. Step 2: Choose the files you would like to recover. Here you need to choose Message, but remember than you can choose other types of data if you want. Step 3: Use your Apple ID and Password to log into iCloud. 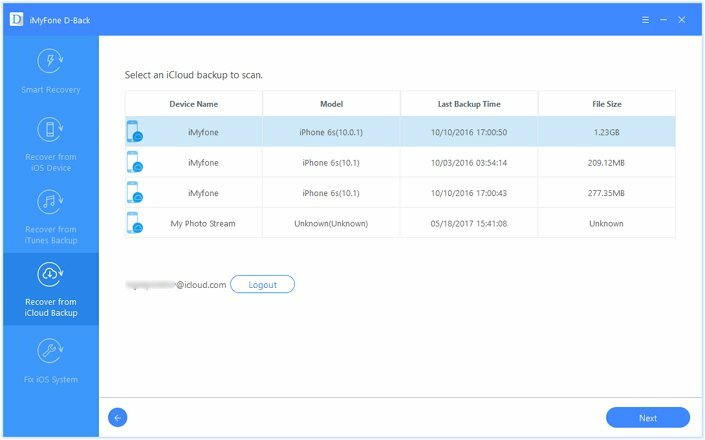 iMyFone D-Back will locate all the backup files available in your iCloud account. Choose the backup you want to view and click Next. Step 4: iMyFone D-Back will download the iCloud backup files. After the scan is completed, you should see your files clearly organized. 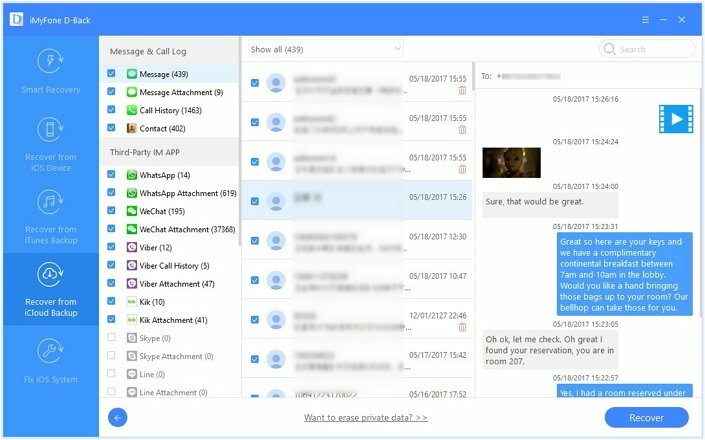 Preview the files and you can see your deleted messages. You can also choose to recover the deleted messages to the computer. Simply click the Recover button and select a location on your Mac or PC to store the deleted messages. iCloud has the ability to back up deleted messages as long as they have not been overwritten. But, even if you back up your deleted messages in iCloud, you cannot view them after restoring the backup. To view the deleted messages, you need to use a third-party tool. The best tool available for this task is iMyFone D-Back. 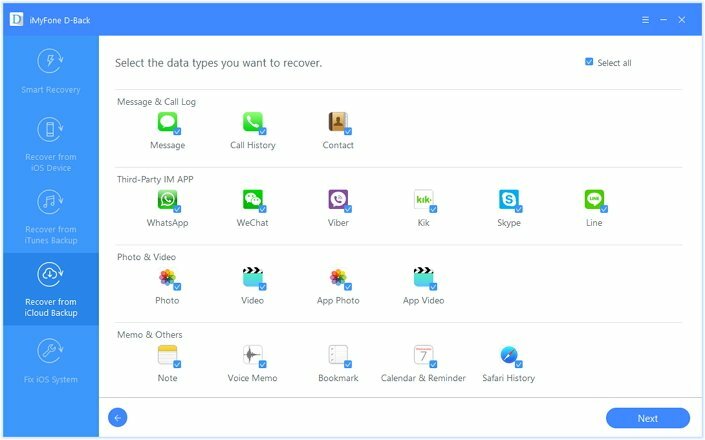 This tool will help you recover deleted messages and other important data. Download its free trial version to view your deleted text messages in iCloud backup for now!